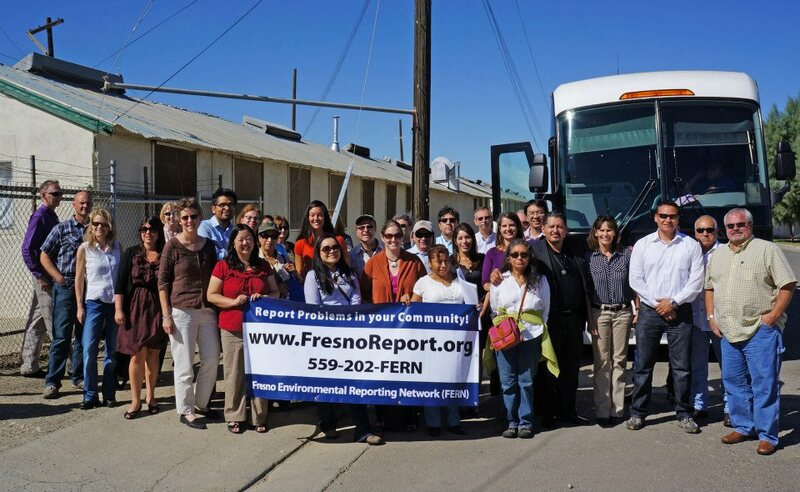 Since 2012, CCEJN has coordinated the IVAN Reporting Networks in Fresno (IVAN Fresno or FERN) and Kern Counties (IVAN Kern or KEEN). IVAN is an interactive way for residents to report suspected environmental problems. Reports can be made by phone, text, or online. Each report is reviewed by CCEJN staff and then forwarded to the environmental agencies with jurisdiction over the reported issue. These agencies and/or CCEJN follows up with the person submitting the report. To ensure these problems are addressed in a timely manner, CCEJN convenes the IVAN Taskforce once a month, comprised of representatives from environmental enforcement agencies, local community-based organizations, and community members. These meetings provide a platform for constructive dialogue about ways to solve the environmental problems affecting our community. The IVAN Fresno and Kern Reporting Networks are based on the model created in 2009 by Comite Civico del Valle, with the goal of empowering residents of disadvantaged communities to participate in solving environmental problems by reporting them and holding regulatory agencies accountable for resolving these issues in a timely manner. Currently, the IVAN model is available in five other communities across California (Imperial Valley, Coachella, Wilmington, Kings County, and Bayview Hunters Point) managed by other environmental justice organizations. In the spring of 2019, CCEJN will be expanding the IVAN model to Tulare County.